Text-to-speech is one of those little pieces of an operating system that not many people use, but which is indispensable for those who do. Now if your first language is Japanese, you've got the option to play out text on your phone with Google's first-party Text-To-Speech (TTS) engine. The relevant app is on the Play Store and was updated today, so you might not have immediate access to it thanks to Google's rollout system. To be clear, this is text-to-speech, not speech-to-text - Google's voice input already works in Japanese for the keyboard (voice typing) and Google Now commands. Check the Language Input section of the main settings menu for that. Text-To-Speech is found under the Accessibility menu. Google's TTS is used by any app that hooks into the API, most notably Google Translate and Google Play Books. 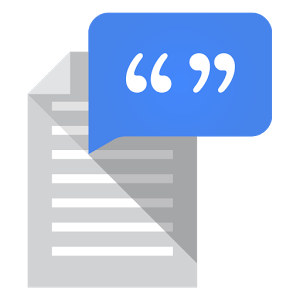 Other text-to-speech engines are available, but Google's is pre-installed on Android. However, you will need to download the voice packs for new languages. To switch the TTS language to Japanese, select Text-to-speech output, tap the "settings" button next to "Google Text-to-speech Engine," then "Install voice data." 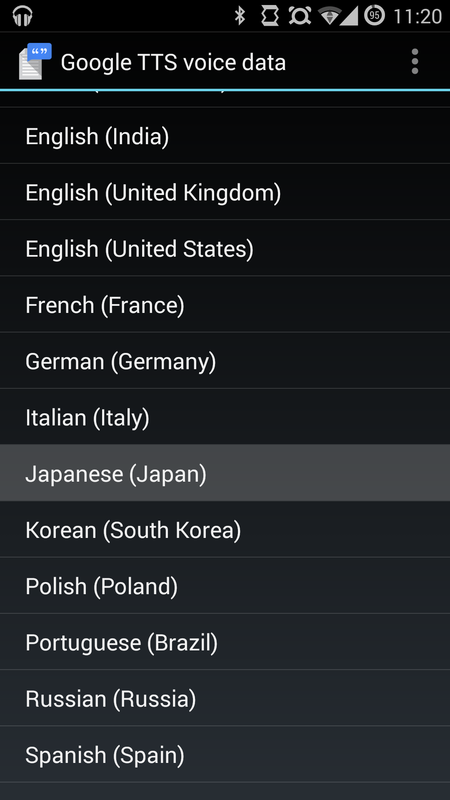 Scroll down to select Japanese, install the 20MB voice pack, and then press the back button to change your default language to Japanese.